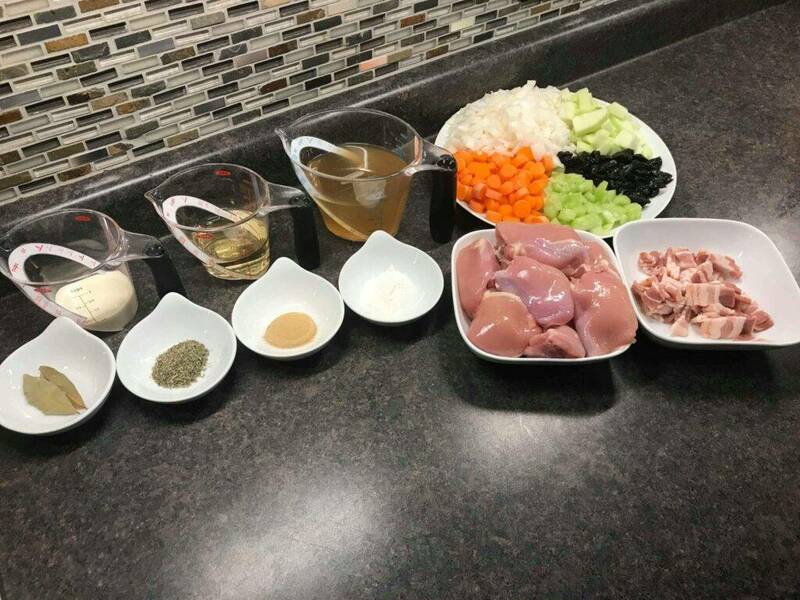 At Harrowsmith headquarters, we often receive emails or Facebook queries from our community for long lost recipes. Readers, who fondly remember an orange and chocolate muffin that definitely had sour cream in it ask, “do you have a copy lying about, in your galley?” Or, what about that savoury solstice pie with prunes and red wine? The details are often vague, but thanks to those who have kept archives of Harrowsmith’s legacy and former Food Editor Darlene King’s magic in the kitchen, we have been able to unearth a few for you. If you’ve been fondly remembering a casserole or treasured jam recipe from issues past, we suggest posting your Lost and Found ad on our Facebook page. Or, email [email protected] with the recipe that you’ve been craving. We’ll get our secret team of Nancy Drew detectives on the case! In December, Wendy McAdoo of Kingston, ON, sent a Facebook message to our team. “I have a question about a recipe from an old issue. 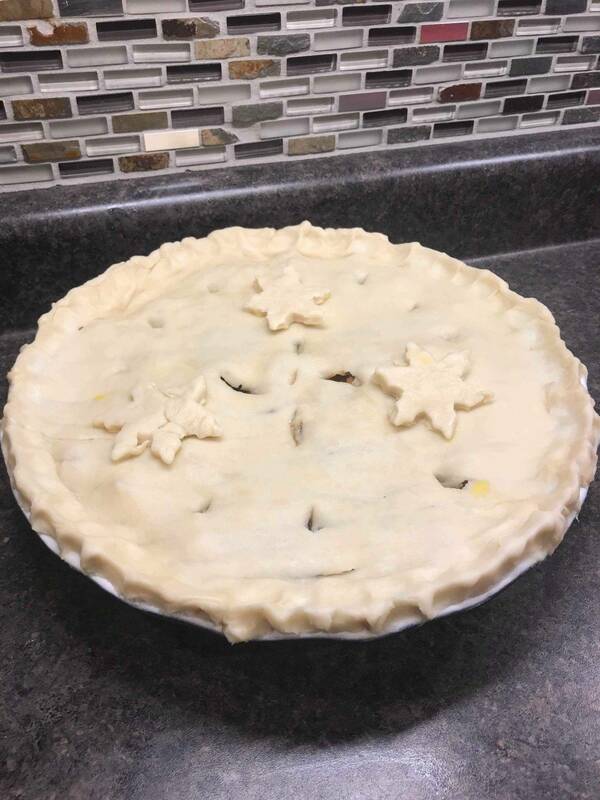 I think it was a December issue in the last year of publication for a Winter Solstice pie! Any chance you would have that in the archives somewhere? I wanted to make it for New Year’s Eve and cannot find my issue that has it in it. 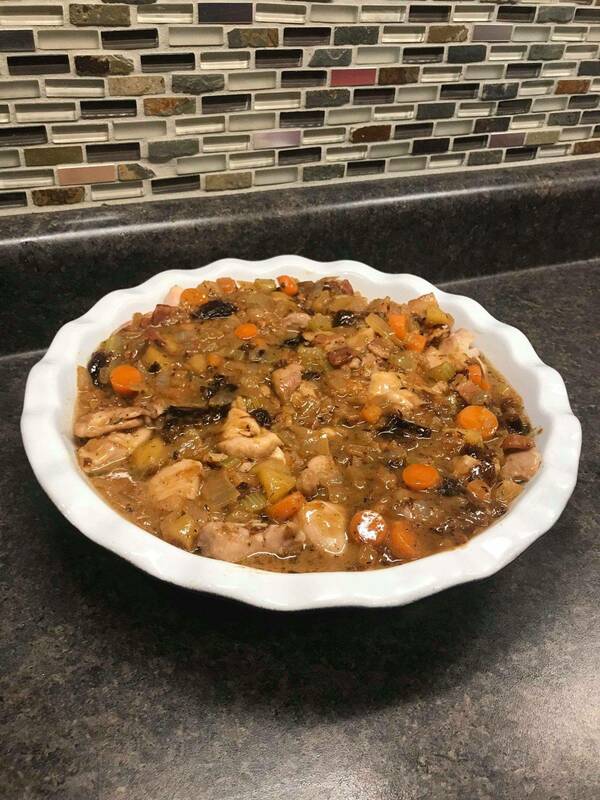 I would be really pleased if someone has a copy of it, and if you haven’t tried the recipe it’s fantastic!” Facebook follower Amanda Robinson-Lingenfelter of Maple Ridge, BC, found it in less than 24 hours. We posted a gluten-free version found online (kaseyjsmith.com) that consisted of chopped greens and turkey, but it was Amanda who tracked down the original with prunes and white wine, as Wendy remembered. It was the first December issue she looked at in her first crack at being a Recipe Detective for us. Lucky find! 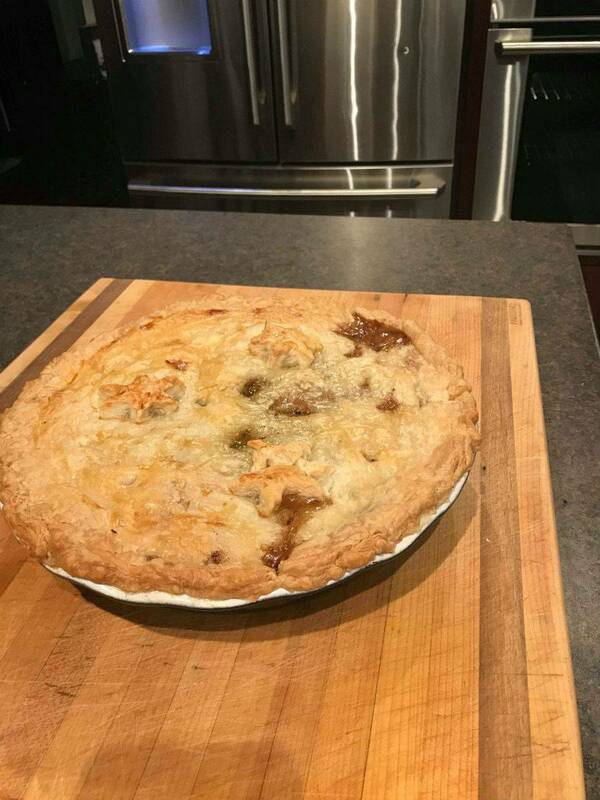 There’s an extra richness to this chicken pot pie, thanks to the addition of apple and dried fruit, both readily available at this time of year. The filling can be made a day ahead and kept refrigerated until ready to bake. Have ready a 2-quart (2-L) ovenproof casserole. Heat the vegetable oil in a large sauteé pan over medium-high heat. 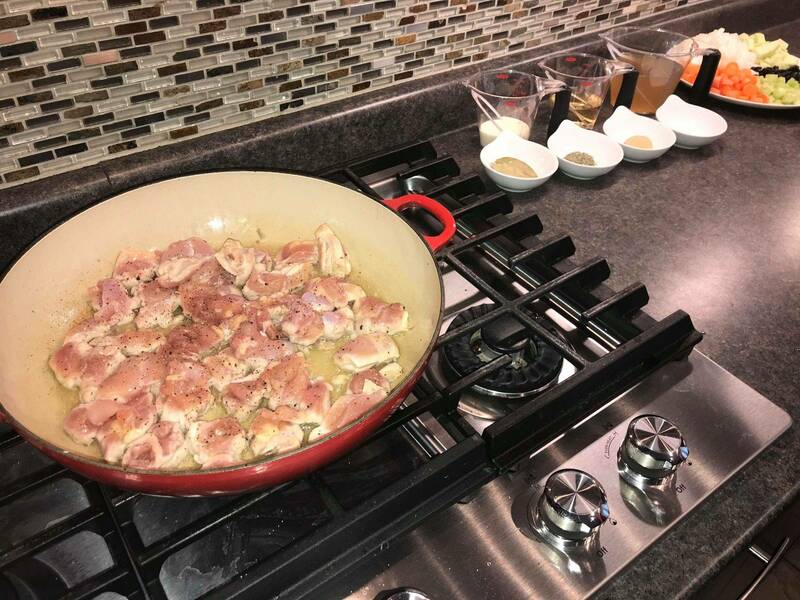 Add the chicken and season with a little salt and pepper and sauté until the chicken is well browned on all sides. Remove with a slotted spoon and place in the casserole dish. Reduce the heat to medium and return the pan to the heat. Add the butter. 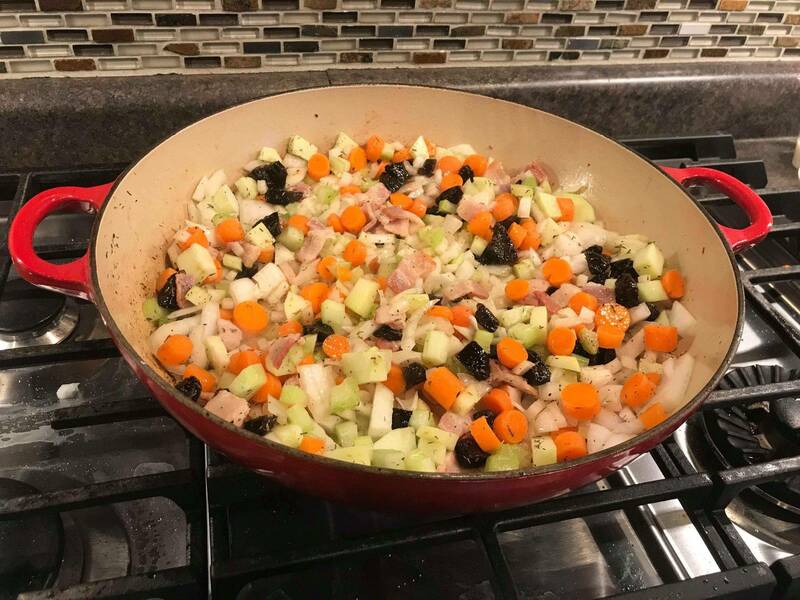 When bubbly, add the bacon, onion, carrot, celery, apple, prunes and thyme and sauté for 5 minutes. Add the flour and brown sugar and continue to cook, stirring for 3 minutes. Add the bay leaf, wine, chicken stock and cream and continue to cook until the sauce begins to thicken. Taste, adjust seasoning with salt and pepper. 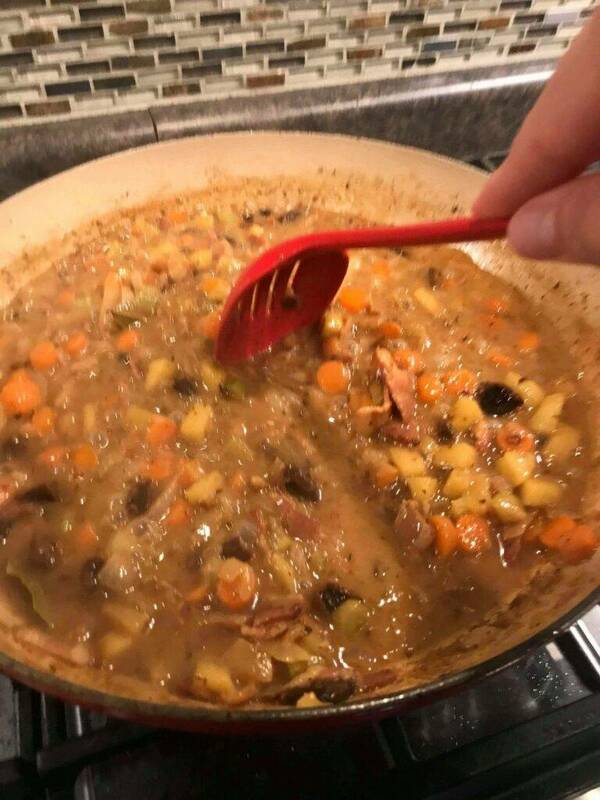 Pour the sauce over the chicken. Cool completely. (The casserole can be made a day ahead to this point. Cover with plastic wrap and refrigerate for 1 day). Preheat the over to 400°F (200°C). Line a baking sheet with baking parchment. Roll out the puff pastry about 2 inches (5cm) larger than the casserole. Mix the egg yolk with the milk to make a wash. Brush the rim of the casserole with the egg wash. Place the pastry on top of the filling and press the edges to seal the top. Make a few decorative gashes with the tip of a sharp knife to let the steam escape. Use any leftover pastry to make decorative leaves or stars. Place the casserole on a baking sheet (to catch any drips). Place in the centre of the oven and bake for 10 minutes or until the top is starting to puff up. Reduce the heat to 350°F (375°F) and bake for 40 minutes longer. (Gently place aluminium foil on top of the casserole if the top is getting too brown). Remove from the oven and let stand a few minutes before serving.